Friday night I cracked open my laptop and my teacher’s manual for the next school year. With my feet propped up, I started planning. I know…so nerdy of me to plan on a Friday night. However, I was setting up my YouTube playlists and I was just so excited to get started! 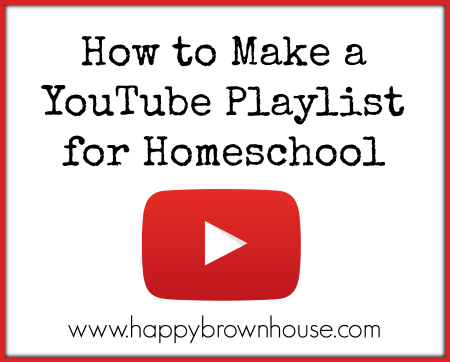 When I shared on my personal Facebook page what I had done on my Friday night, I got several questions about YouTube playlists and how I use them in our Homeschool. Instead of typing the same thing over and over, I thought I’d share it here on the blog. Chances are, someone else will find this helpful, too! YouTube is so much more than goofy people doing goofy things. While there is plenty of that available on YouTube, there is also a large group of really great videos just begging to be used in the classroom! Using a playlist keeps out some of the junk. Seriously. I tried to search for a video with my son and I was disappointed at some of the results that popped up. I NEVER watch videos with the kids without previewing them first. A playlist is an easy way to bookmark good videos. YouTube videos are a great way to give young children a visual frame of reference for a variety of topics. If they’ve never seen a team of sled dogs racing across the snow, there’s a video available at your fingertips. In educational terms, we call this building schema. It’s a quick and easy way to introduce them to things visually. YouTube videos are a way to take a field trip….virtually! We can’t hop onto a plane and visit all the places we are learning about, but we can find video and go there in our minds. Technology is just plain fun. 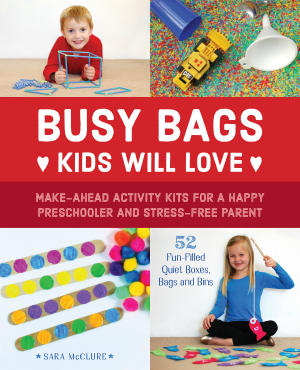 Kids love it and it captures their attention. Enough said. It’s super simple! A blog post about using YouTube wouldn’t be complete without an actual YouTube video, so I made one for you to walk you through the steps and help you build your own! Want to see my playlists in action? I have several YouTube Playlists for My Father’s World homeschool curriculum. As always, if you have any questions, let me know in the comments! Tell me: Have you ever made a YouTube playlist? Thank you for posting this! This is our first year homeschooling and I wouldn’t have thought about using YouTube. What a great idea. I’ve been searching for ways to put variety in our learning. I found this pinned on Pinterest this morning and cannot wait to dive into your blog ore today! Yay! You are so welcome! Good luck with your first year of homeschooling! Wonderful idea! I have gone on YouTube many times, but haven’t dived too far into how to customize it. And to think I can use it so easily in our homeschooling! Thank you so much!! Thank you for this! I have seen playlists referred to, but have never done one. Didn’t know how. We just finished up Adventures with my son – loved it!! I noticed on your playlist some of the same videos we found as we searched for individual things this year. 🙂 I only wish I had had access to your playlist all year. Looks like you found sooo many great links!! This post was very helpful to me and I am excited to search for and save all kinds of goodies for next year. Now I’ll be ready instead of having to stop and search/preview as we go. Thanks for linking up with us at Good Tips Tuesday! Your post was selected as a feature post for this week! Congrats! Oh thank! you thank you!! thank you!!! This is awesome we’re just starting out homeschooling and this was so helpful for this Momma 🙂 I love that I can preview and easily save to replay what I want to share. You’re welcome! Have a great homeschool year! Thanks for posting this. Found you on Pinterest and now I have started a ‘kid friendly’ (as best as possible) set of playlists for school and worship. For those that don’t know (or maybe i am just a bit unsavvy! ), if you full screen youtube videos, you cannot see the ads and the ‘other suggestions’ along the side. They are not always kid friendly! Great! Glad it can be used to make things easier for you! I have shared your post, as I too use you tube for homeschool and thought my facebook friends would enjoy the DIY playlist. What is on your play list? Folks in posts referenced it, but I don’t see a link. Thanks.